The LA City Council will consider a motion requiring businesses wishing to contract with the city disclose their ties to the gun lobby. 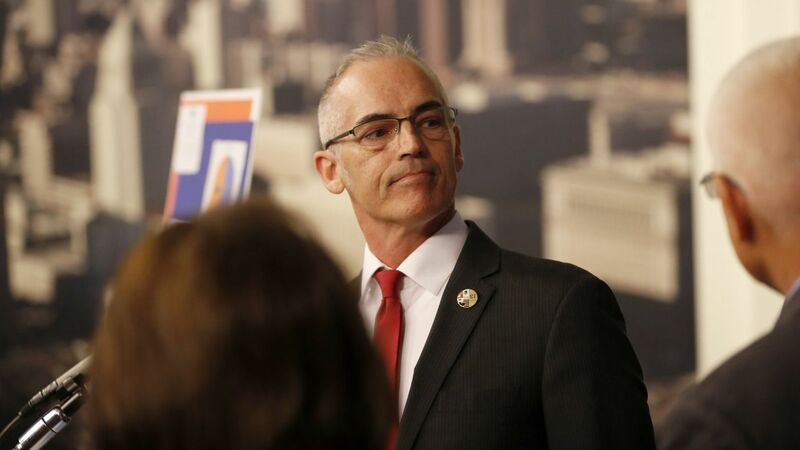 Saying the National Rifle Association is one of the biggest roadblocks to gun safety reform, a Los Angeles city councilman introduced a motion Friday that would require city contractors to disclose any ties they have to the organization. Councilman Mitch O’Farrell’s motion, if passed into law, would not ban NRA-connected contractors from doing business with the city, but require them through a new ordinance to disclose any contracts or sponsorships they have with the gun rights advocacy group. The City Council approved a similar ordinance last year that requires contractors or prospective contractors to disclose that they have placed bids on President Donald Trump’s border wall. Although it did not place a ban on them working with the city, the ordinance sent the message that Los Angeles would be unlikely to hire a contractor with ties to the wall. The motion says the city of Los Angeles historically has enacted ordinances in support of gun safety. The motion notes there have been more than 1,600 mass shootings in America since the Sandy Hook Elementary School mass shooting in 2012, according to the Gun Violence Archive, which quantifies a mass shooting as when four or more people are wounded or killed in a shooting, not including the shooter. The NRA did not immediately respond to a request to comment. “For the sake of transparency the city’s residents and stakeholders deserve to know how the city’s public funds are being spent, and whether taxpayer funds are being spent on contractors that have contractual or sponsorship ties with the NRA,” the motion states. Following a mass shooting at Stoneman Douglas High School in Florida on Feb. 14, a number of corporations that had offered discounts to NRA members cut ties with the organization, including Delta Air Lines, United Airlines and the Hertz rental car firm.